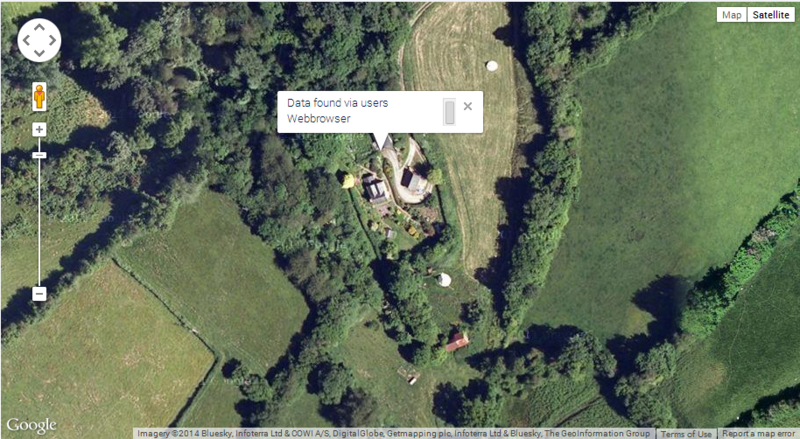 HTML5 Geo location allows you to view EXACTLY where that user is chatting from. What is HTML5 Geolocation and how is it used in live chat software? Html5 Geolocation uses your GPS or Wireless signal to find your location using location services. Essentially, when a user starts a chat with you and if you have HTML5 geolocation enabled. the visitor will be given a choice to let you know their location. If they select yes. It will be sent to our chat servers and you can use this information to locate the users exact location in the world. no matter how remote. Rather then simply replying on IP address to give you a location. ( That can be fairly inaccurate ) HTML5 geolocation gives you that extra bit of information to help your visitor. If your business relies on locations ( A taxi service using live chat software for example ) your users can tell you where they are simply by clicking a button. Of if someone you chat to doesn’t know their exact location, maybe they are trying to find your office? You can help them with directions as you will know exactly where they are at the time of chat. As always, these features are simply added extras to the main live support chat system, but every little bit extra can help you help your users more effectively.